NanoLearn helps to validate and reward users for acquiring knowledge sourced from the web, Office 365, SharePoint, OneDrive, web based storage services, and organization intranets. A NanoLearn user can be provided with a Library of knowledge to be able to use in the moment of need. It can help organizations move from a reactive methodology to an active methodology regarding the organization’s collective knowledge. Consider a competitive sales process, where sales people not only utilize formal training, but can obtain additional information from sources such as competitors’ web sites, press releases, research materials, competitive training and product videos, as well as customer referrals or case studies as learning materials. Currently, very little of this collection of information is used to measure against a sales team’s performance goals. NanoLearn is premised on the thought that small nuggets of knowledge can be useful for an organization to have available as learning that everyone can access. 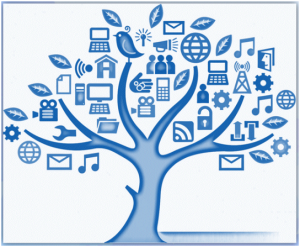 The social tools from within LearningServer can help to enhance the knowledge that is being provided. NanoLearn provides a business-driven approach to integrate all types of learning into mainstream goals of the company. The acquisition of users’ knowledge can be recognized with Certificates, and metrics can be used by the organization to determine deficiencies and improve productivity. NanoLearn provides a centralized view for knowledge acquisition to be tracked and measured. Key Performance indicators offer an opportunity to recognize employees as direct contributors to the organization’s success. NanoLearn encourages an exchange between subject matter experts and those who need the information, matching people within organizations who have specific knowledge with people who don’t. Organizations need to respond to changes in the industry, whether it’s new employee orientation, compliance training, security assessment, or simply making sure everyone sees the new program or direction from corporate communications. Every company needs to make sure employees are on board and understand what is expected of them. Build collections of learning materials that can be instantly made available to new employees or perhaps a group working on a new project. These materials can be rapidly deployed to introduce new employees, new concepts, new groups or new projects, enhancing an organization’s processes and objectives. By leveraging numerous Microsoft Technologies, NanoLearn utilizes a suite of Azure technologies, cloud servers, Azure SQL, and more…. Enhance the value of your Microsoft Office and Office 365 Application and services investment with the addition of NanoLearn. Create learning from a variety of Office 365 document types, including Word, PowerPoint, and Excel. Easily insert links that support learning from materials located on OneDrive for Business and SharePoint. Use Microsoft Teams to enhance knowledge sharing. Once knowledge has value, use Teams to help transform knowledge into products and services. Since 1994, Intralearn Software Corporation has provided knowledge management and e-Learning solutions to corporate enterprises, academic institutions, associations, government agencies and training suppliers. We take pride in making technology affordable with turnkey offerings that leverage the infrastructure and technology of Microsoft Software.